I’m doing something a little different for this post. I’m sure many of you, like me, have enjoyed the Star Wars movies over the years. 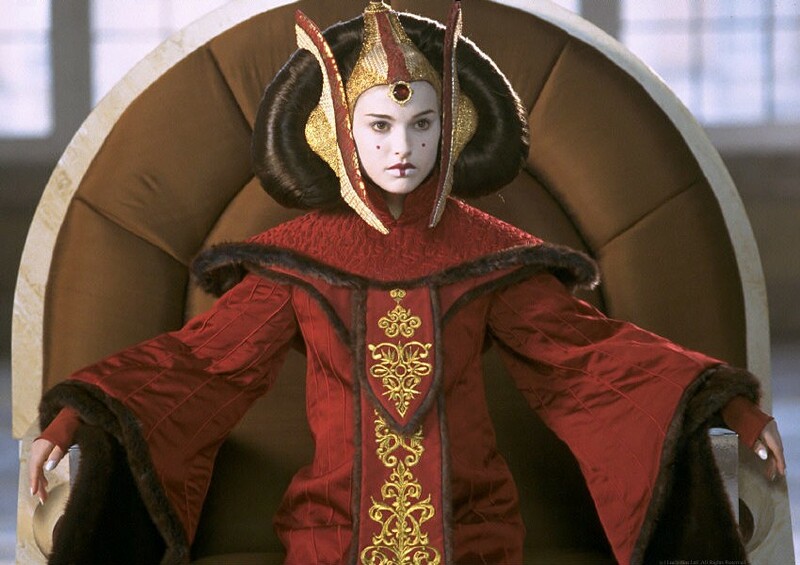 I’ve always been fascinated by the costumes of the character Padmé Amidala (played by Natalie Portman) from the prequel trilogy. 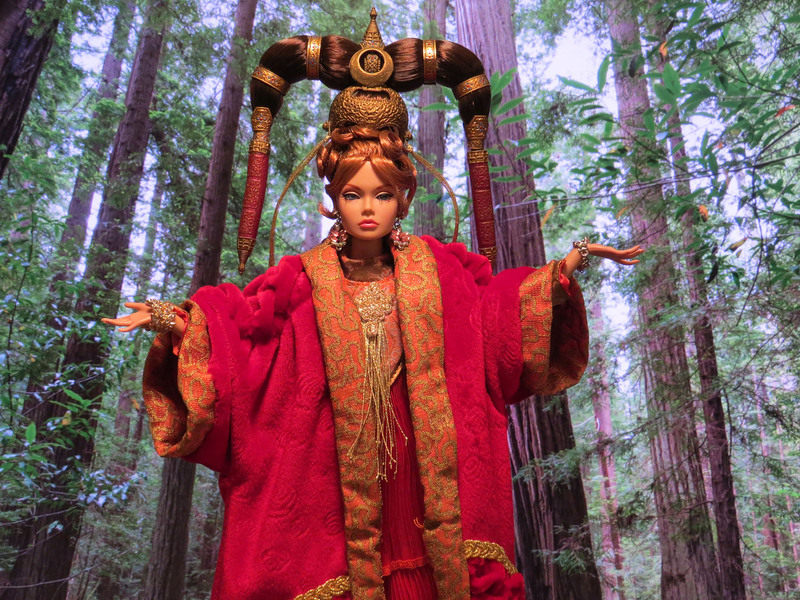 I always thought she looked so far out…a strange blending of sci fi and Eastern fashion. 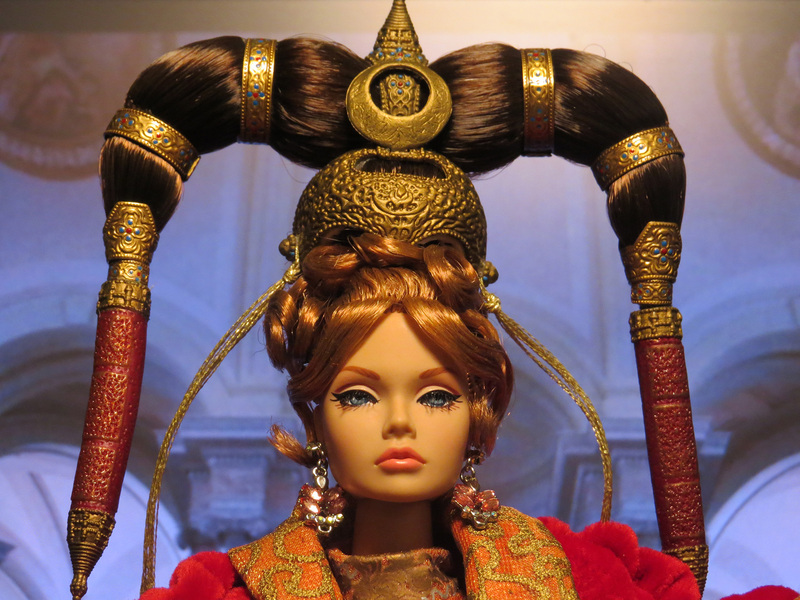 Kind of like Tibetan fashion meets Flash Gordon! 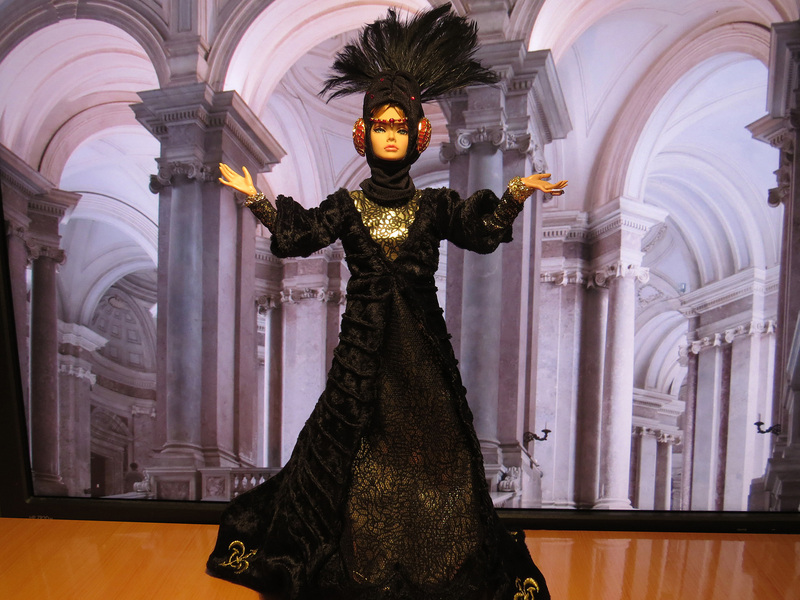 I periodically peruse Ebay for a nice doll or action figure of Padmé. Unfortunately, I’ve not found any of high quality. 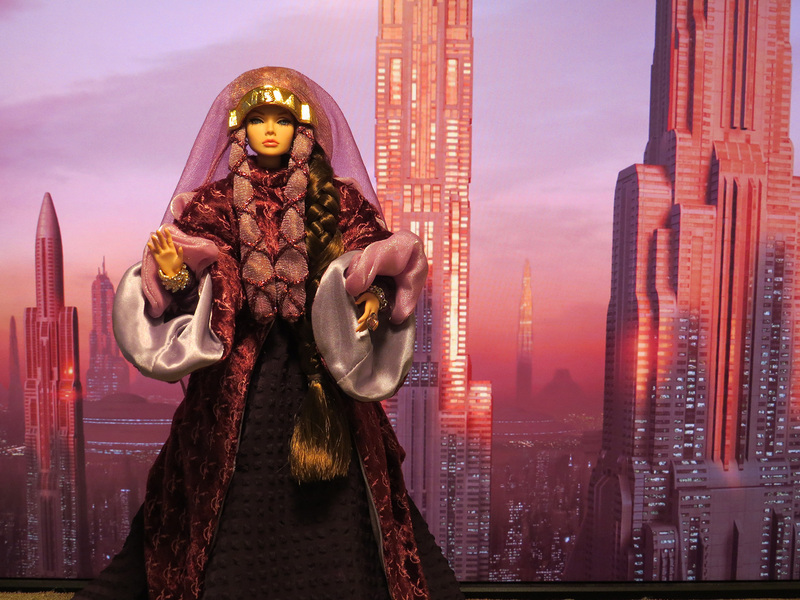 I was recently again searching for the perfect Padmé doll and noticed the 12 inch Hasbro line of Padmé dolls with a new eye. I’ve seen them before and ignored them. 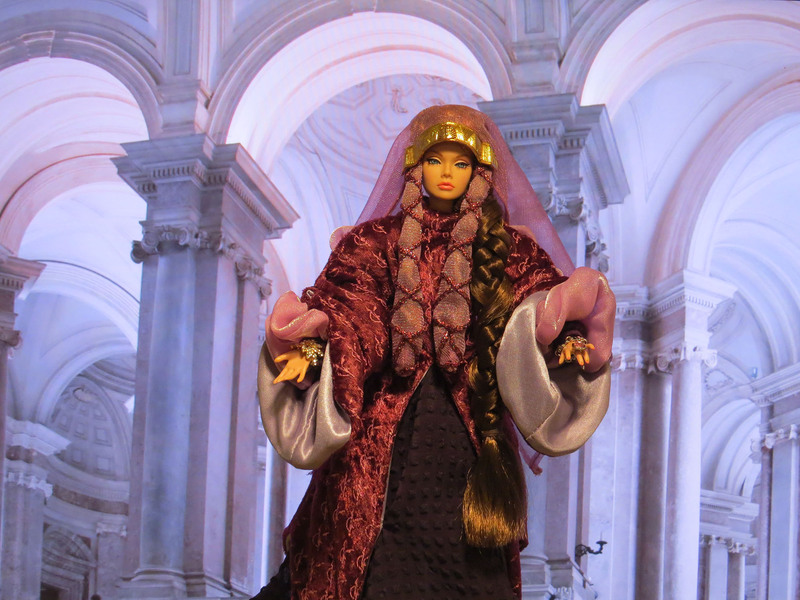 While the costumes seem nice, the dolls are just plain ugly. As you can see, the dolls have faces that only a Mother could love! 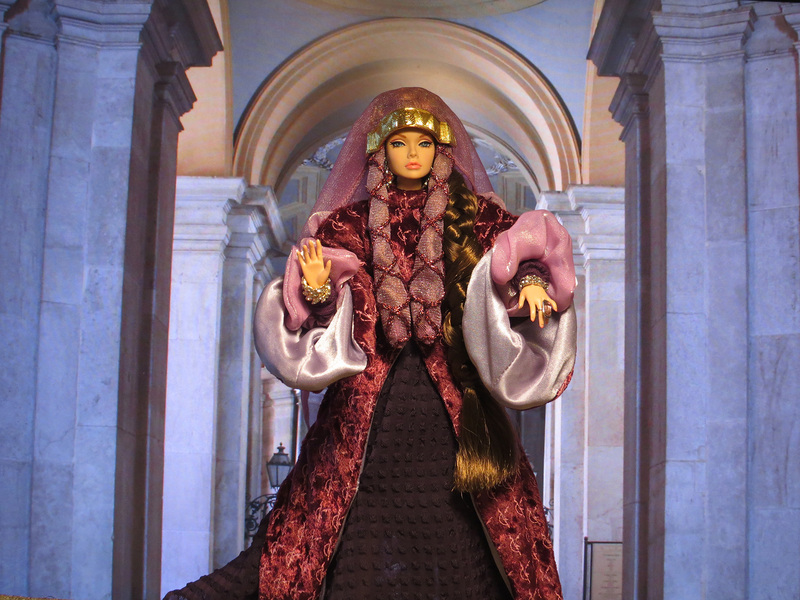 But this time, looking at the Hasbro Padmé dolls, I got an idea. 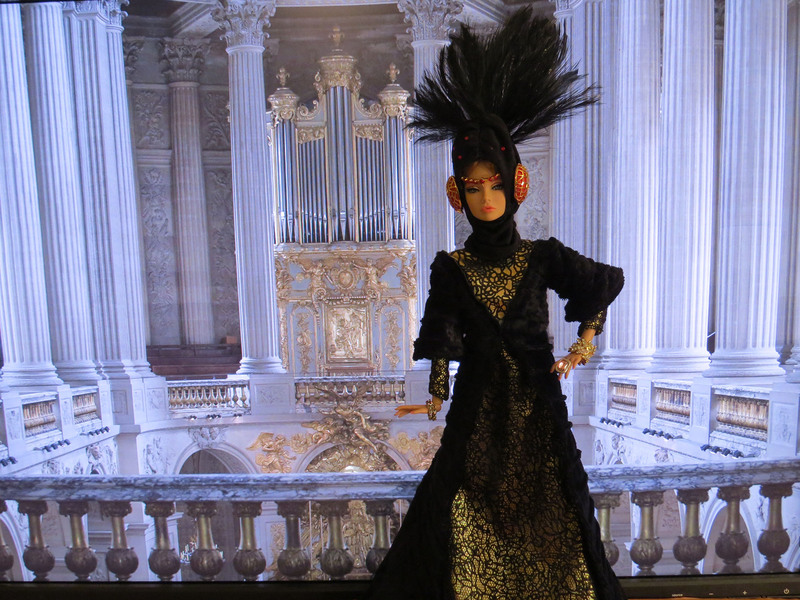 As I explained last time, I’ve been picking up Poppy Parker dolls to use in my dioramas. 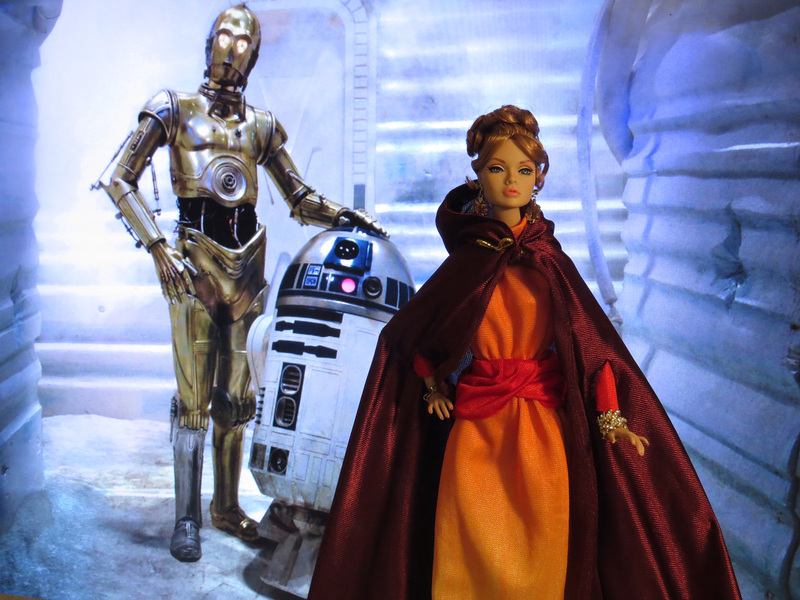 I wondered if maybe Poppy would look good in the Hasbro costumes? 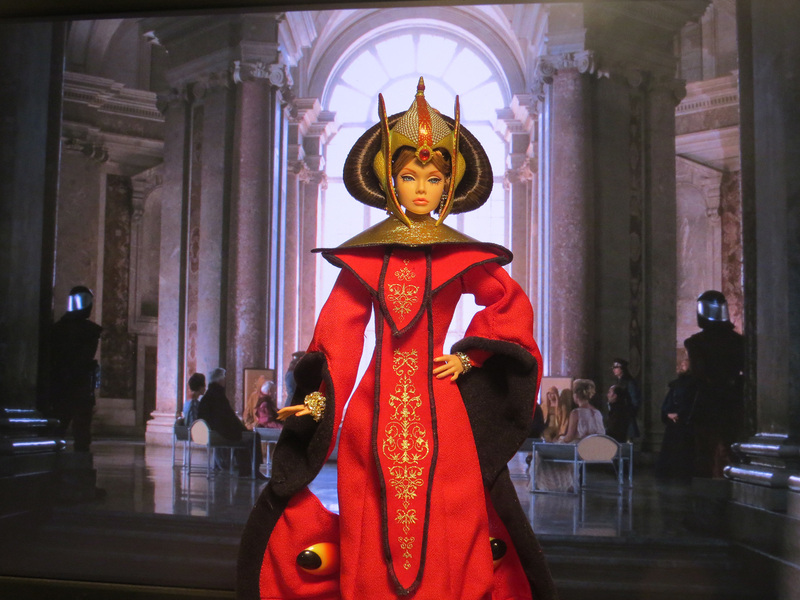 Like Queen Poppy…Queen Poppy of Naboo?! 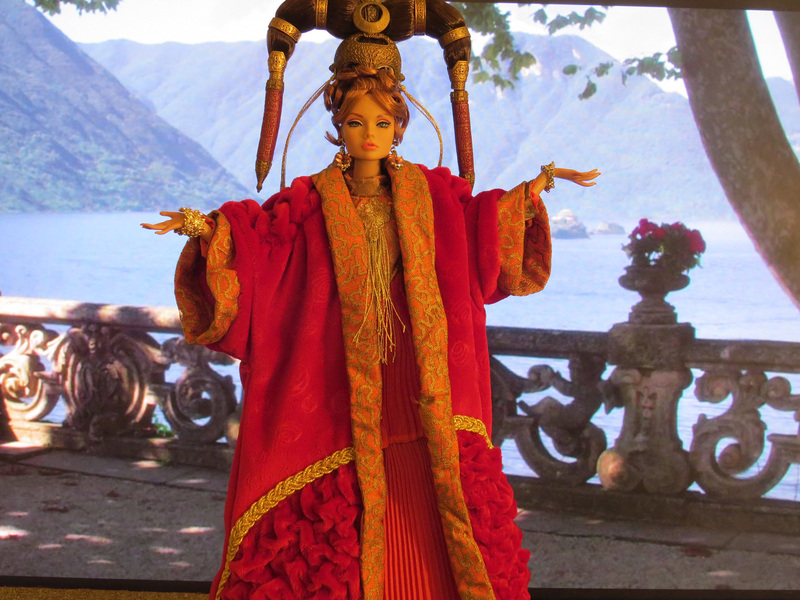 The rest of the world seems to agree with my general sense of the Hasbro Padmé dolls, because they can be gotten for around 10 bucks each, plus $8 shipping. It’s pretty bad (from a collector’s standpoint that is!) when the item costs the same as shipping. 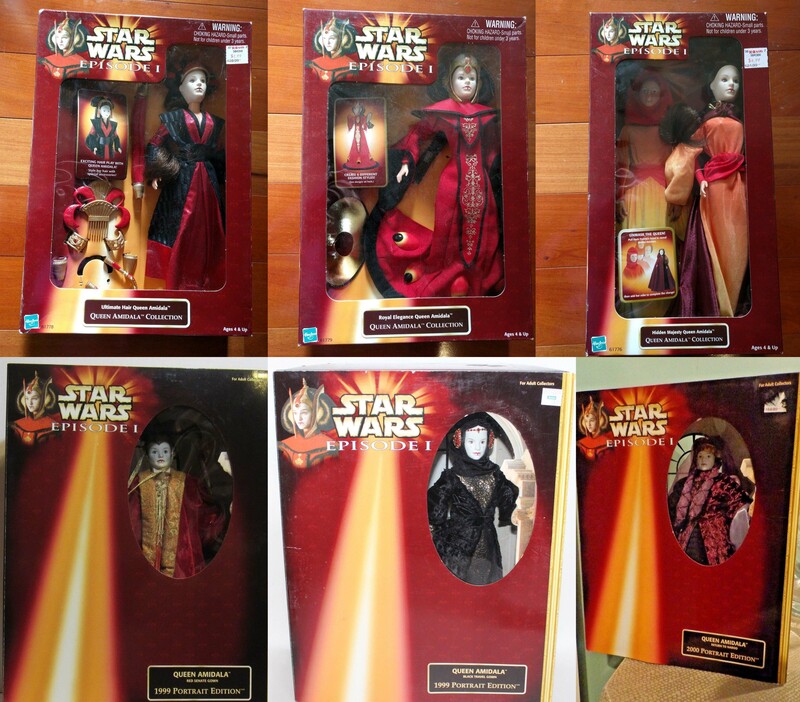 So, for less than half the price of an average Poppy Parker doll, I picked up all six of the Hasbro Padmé dolls! As soon as they arrived, I carefully removed the costumes. The dolls have found a new home in the local landfill. The costumes themselves were surprisingly nice. 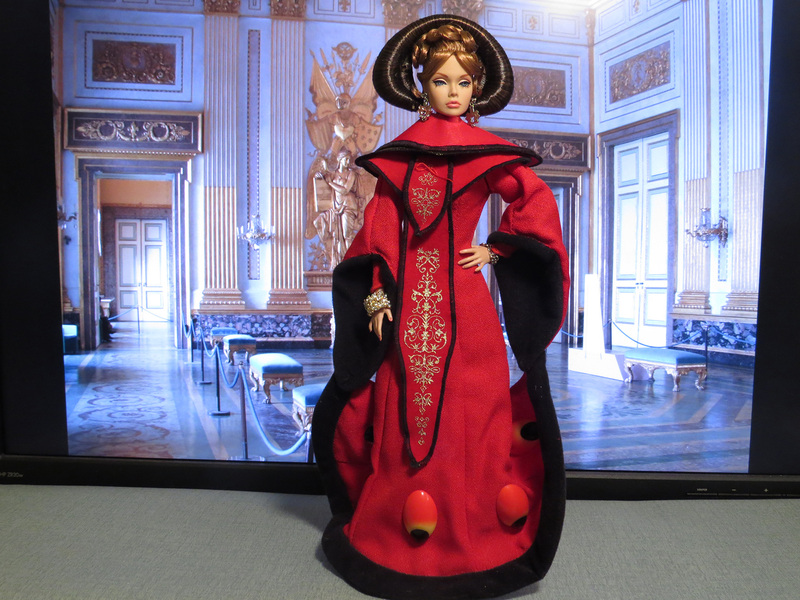 The plastic parts look a little cheap, but the fabric parts are quite good. 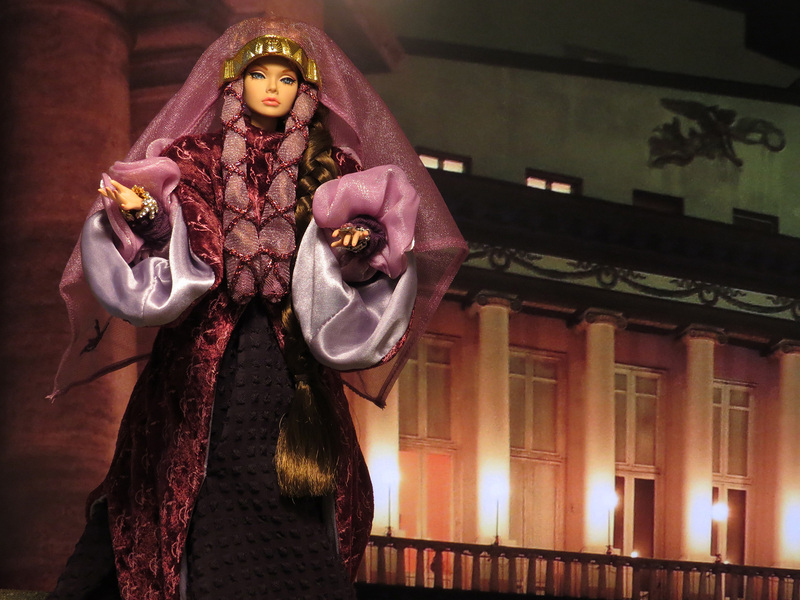 The outfits are higher quality than the average Barbie outfit, but definitely below the typical Integrity Toys outfit. I chose this Poppy because of her great 1960s curly hairdo, thinking it would fit nicely with Padmé’s cool, and often far out, hair styles. 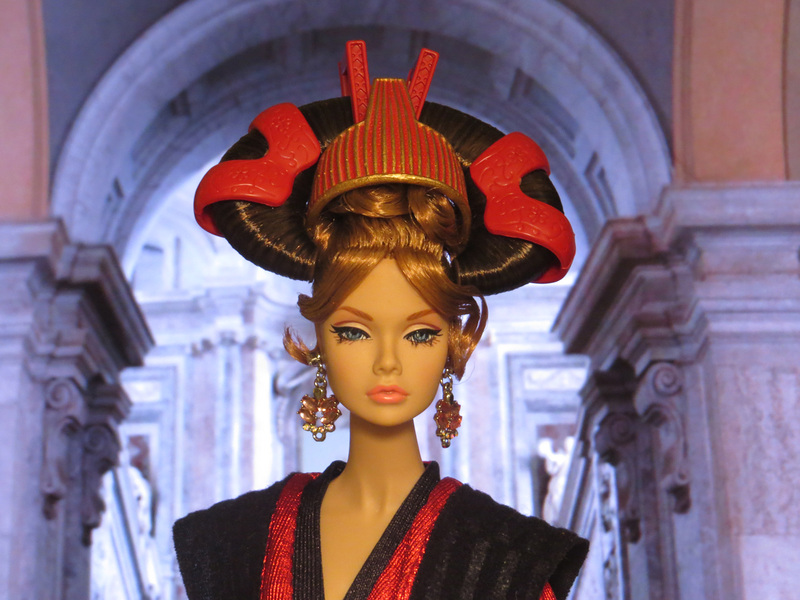 In my last post, I explained how I got sucked into the Barbie vortex. Since then, I’ve been sucked into another vortex: Poppy Parker! 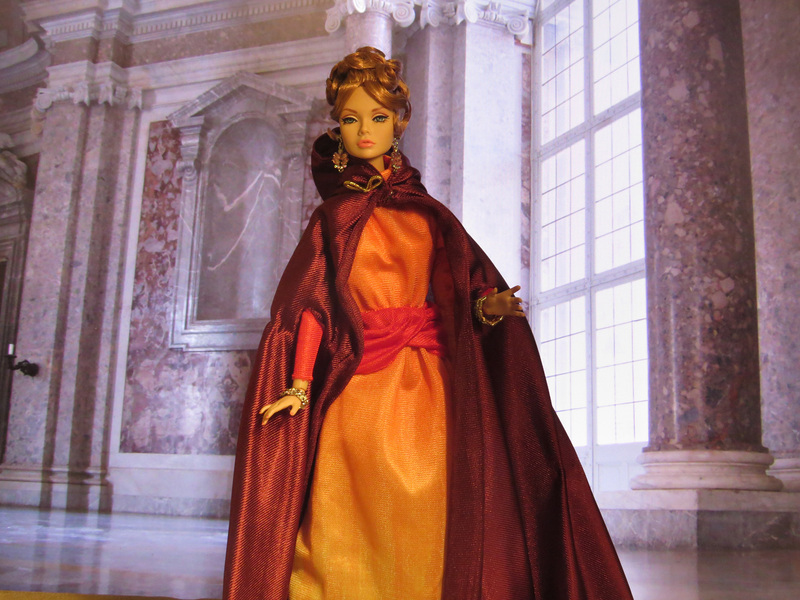 Of course I’ve used my Fashion Royalty doll for some time now, but Integrity Toys was never really on my radar. 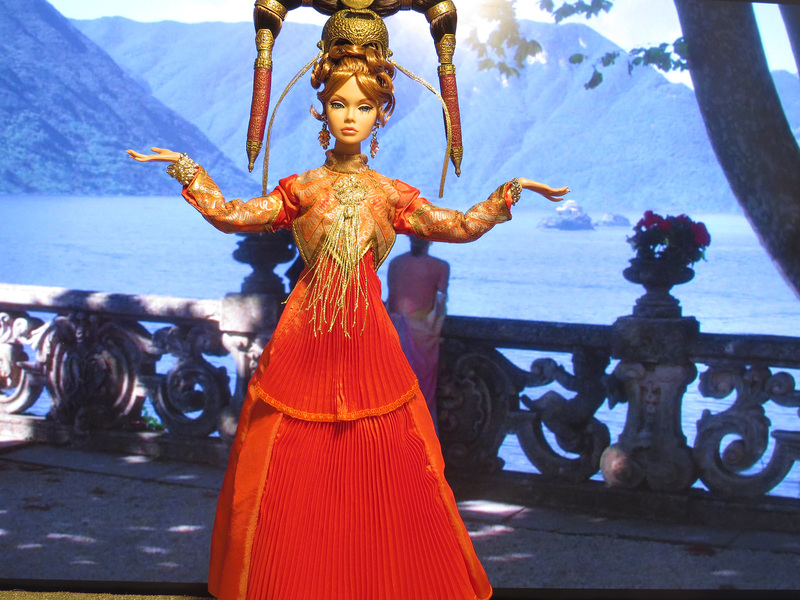 I’ve mostly considered the dolls as props for the mid century miniature recreations. 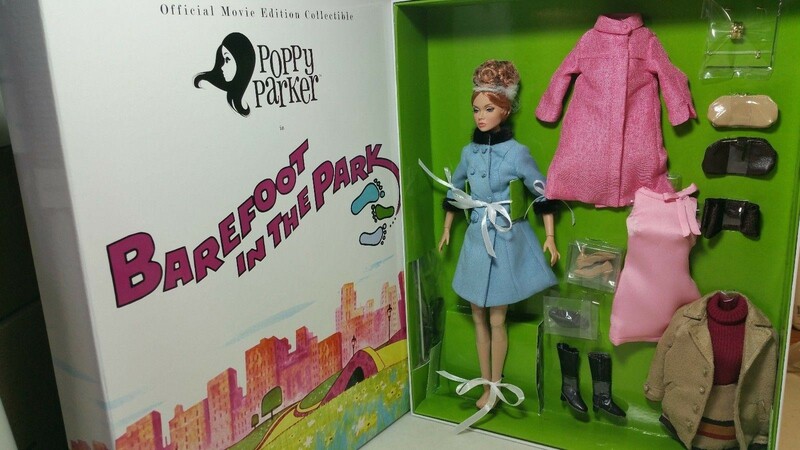 Until recently, I knew nothing about the Poppy Parker line of dolls. Call me late to the party, but I only recently learned that Poppy is set in the 1960s and that all of her fashions fit perfectly with my mid-century theme. So I went a little wild and picked up some Poppies. This post showcases Snow Stopper Poppy Parker. 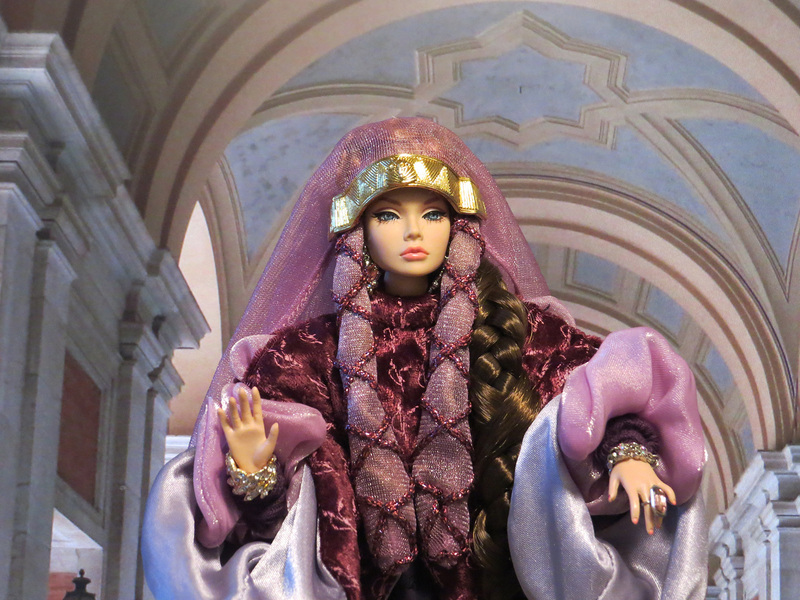 She is a convention doll that was just released in Winter 2018. 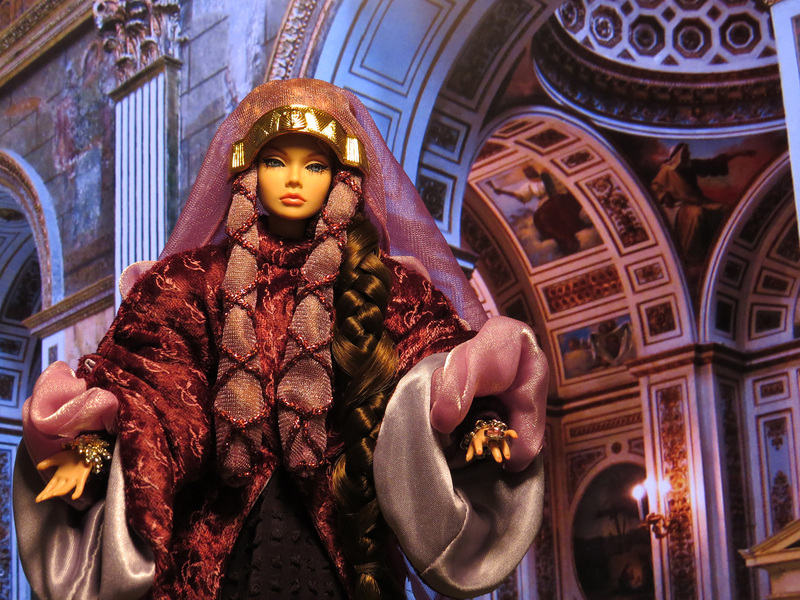 She comes with a rather garish hyper pink fur coat that is a little too much for my tastes. But what is underneath the coat is an amazing 1960s appearance that I fell in love with immediately upon seeing. First is very talented craftier of mini items who supplied Poppy’s makeup accessories. These were made by Anastacia Erkelens, who runs her CHANIKAVA shop on Etsy. Stacia’s work is super cool and I highly recommend you check out her shop for some super great and really realistic 1/6 scale accessories. Second, I picked up the cool hanging lights from TheAtomicDoll shop on Etsy run by someone humbly named beth on her shop. This shop has some really cool hand made 1/6th scale mid century furniture and I really admire this person’s skill. I see myself deviating from the Phicen dolls for a bit while I focus on incorporating the various Poppys into some cool mid century scenes. 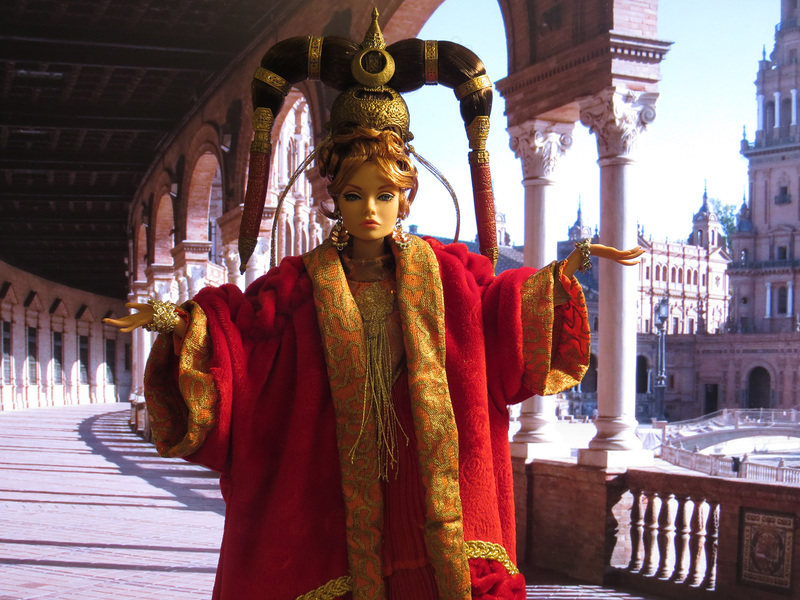 But the continuity is still maintained with all my previous posts as Our Story So Far continues…. 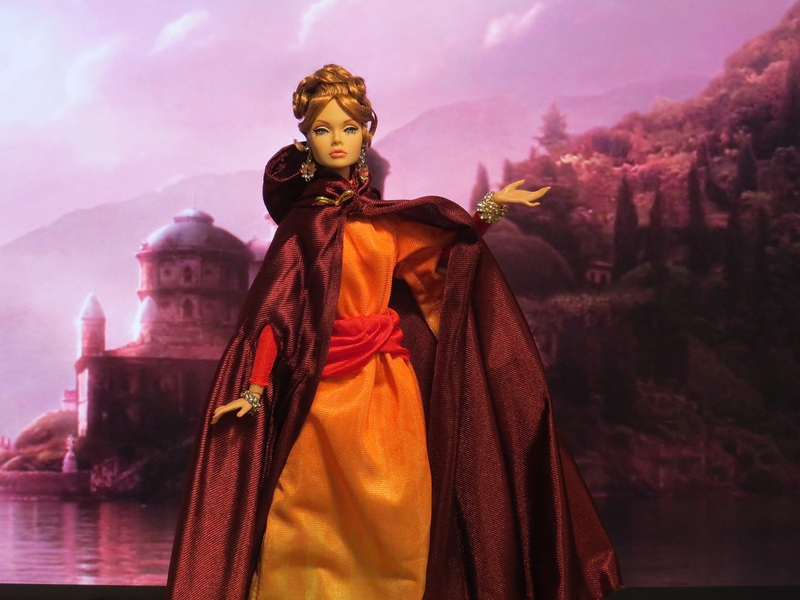 After purchasing her new hideout, Madame H called one of her old associates to help her carry out her nefarious plans, a girl who is a master of many appearances. 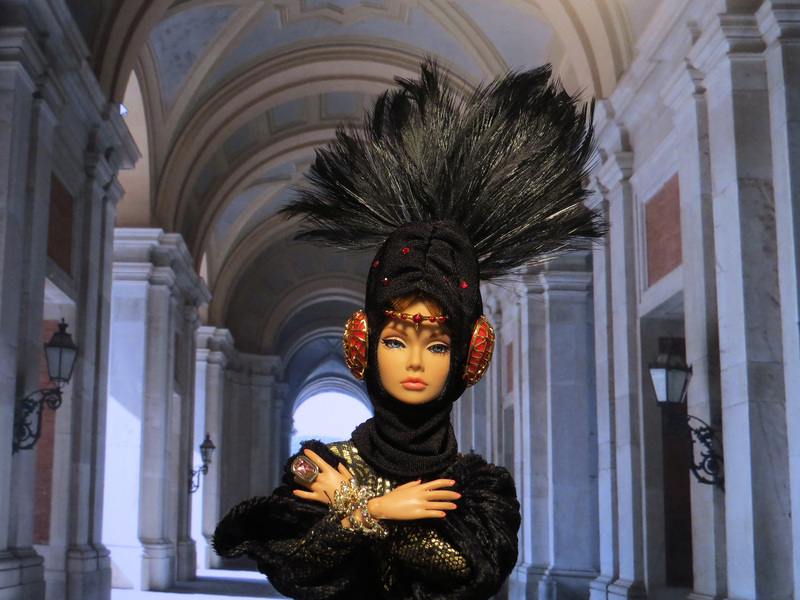 A girl who goes under the cover of a young fashion model, but in fact, is a secret double agent. 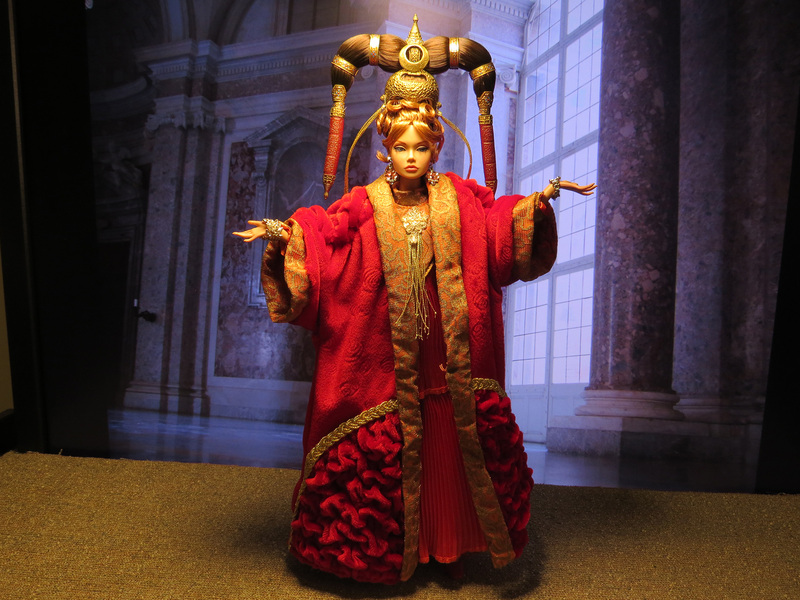 Some call her…Poppy!